Today the still small voice would be heard. She lay quiet, listening to the steady sighing of his breath. Outside the first birds, roused by the gentle lifting of darkness, tested their neighbours’ wakefulness. Soon others would wake and add their tentative chirps and chattering to the chorus. And the quiet would be broken. The morning would begin and she would have to turn her thoughts away from the night, and look to the day. This was not to be an easy day for her, most certainly not for him. He would not understand and she would not be able to explain. There would be tears and anger and heartbreak. She watched him sleep, sadness like stone deep inside her. She could leave now and not face the storm of anguish but she knew she would not. She would wait for this man, who she loved more than life itself, to wake and then she would break his heart and hers. First published as part of Last Line First . A companion piece to Stillness. 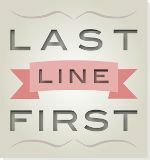 Posted in Flash Fiction and tagged flash fiction, heartbreak, Last Line First, love, secrets. Bookmark the permalink. Clutching the book to her breast, she cried. The gathered tears overspilling, dangled for a moment in fat droplets at the tips of lashes before dipping to trace a slow glistening trail across her cheek. Heartbreaking sobs broke from the depths of her soul and the tears flowed faster. She dashed them away, her anguish inconsolable. Words from the book danced through her mind, each sentence remembered, caused a fresh deluge of tears and renewed sobbing. Her chest ached with the effort of breathing, of dragging in the unwanted air to her lungs. There was no room for breath. Her chest was filled to bursting with the pain in her heart. She opened the book and stared at a page. A year of words left to her. Beautiful words, meaninful words, words filled with love, with hope. How could he have written so much and yet meant so little? The words mocked her. How naive she had been! How eager to believe. Now she saw them for what they were – false, worthless, empty words. Nothing more than ink on paper. She closed the book and a coldness seeped into her soul. Posted in Flash Fiction and tagged betrayal, heartbreak, Last Line First, loss, love, meanings, words. Bookmark the permalink. She felt the blood run cold in her veins. Yes! Yes! I would know! The voice in her head screamed back at the single line of text. She screwed closed her eyes and turned the page, hoping against hope that this was a rhetorical question. Hoping that when she slowly opened her eyes, one at a time, squinting breathlessly at the page, he would still be there. But no. There was nothing. No-one. Blank white paper stared back at her. The sheer whiteness of it hurt her eyes. The blankness clutched at her heart and she felt its emptiness like a void in her soul. She closed the journal, traced her fingers over the letters on the cover. This was all he had left her – a year of words. Words that had drawn her in and given her hope. She clutched the book to her breast and cried. Posted in Flash Fiction and tagged grief, journal, Last Line First, loss. Bookmark the permalink. My weakness is my greatest regret. I tried to be strong. Lord! I tried so hard! Everyday I would tell myself that this would be the day. This would be the day I would stay strong. This would be the day I resisted temptation. And everyday I believed I would succeed. And everyday I failed. Every single day. I was not strong. I did not resist. The temptation was just too strong. Stronger than me. Stronger than my will. You – you were too strong. You drew me to you like a magnet. Physics, then, was my downfall. I was a moth drawn to the flame that would be my destruction. Or perhaps it was just the chemistry? There was certainly chemistry between us. Well, it was some kind of science for sure. Though at times it seemed more like witchcraft, a dark art, the work of the devil, this attraction to you. But that’s the trouble with temptation. It is attractive and sweet and addictive. It pulls you in against your will, wrapping you up in its sweetness, melting away all resistance. And who can fight against that? I was undone before I even began. Posted in Deadly Sins, Flash Fiction and tagged acceptance, adventure, betrayal, Last Line First, seven deadly sins, sins, temptation. Bookmark the permalink. Sometimes you feel like you just saved the world. Your heart swells. You feel there must be sign, a huge neon arrow pointing at you flashing the words “Saviour of the World as We Know It”. Then you look around, and no-one is staring, no-one is cheering. There is no applause, no news crew waiting to interview you. And you realise that, yes, you may have just saved the world, but not one single, solitary person noticed. Their lives carry on without so much as a blip, no flickering lights, no tell-tale alarms, no dip in the power supply. And that is down to you. To your genius, your skill. To the fact that you are so good at saving the world that you spotted the problem, and solved it, before anyone even knew there was one. And that’s good, because if people knew how fragile their world really was, well, they would never sleep in their beds, would they? But oh! Sometimes, wouldn’t it be nice to get the credit? To hear the ripple of appreciation stirring through the crowd, to have your hand clasped and fervently shaken, and to be thanked. Yes, just occasionally, that would be nice. Posted in Flash Fiction and tagged Last Line First. Bookmark the permalink. They will never, ever learn that lesson until it is too late. Every week they would arrive, excited,chattering laughing. The new ones, naive, their eyes bright with expectation. Others quieter, knowing, their eyes bright with expectation of a different kind. They knew the lesson about to be learned, for had they each not learned it themselves? At some point this knowledge would tip from mischievous anticipation to friendly concern. The ringleaders were there, boys old enough to know better, but somehow never quite learning that lesson. Egged on, the new ones took up the challenge. Those who had learned both lessons called out gentle warnings but were ignored. The voices of reason drowned out by the rush of adrenalin and the excited shrieks of the uninitiated. And, as always, the gradual change, the realisation, and the calls to stop, please, stop, that’s enough. Finally it would grind to a halt and they would stagger away, green-faced, disorientated. Why did no-one warn them? Chastened, now they would listen.